Reuben E. Witcher. He was only 16 when the other brothers left home for the war, but in 1864, when he was 18, he was taken into Bourland's Regiment to serve along with his brother Clay. After the war he returned home for a few years and lived with his widowed mother, then married and moved away to Childress, Texas. You'll note in the picture that he is wearing a ribbon from the Childress unit of the Confederate veterans. Reuben raised children and lived out his life in Childress. William Clay Witcher. He was just older than Reuben but two years younger than Armistead. He joined the confederate army in 1862, going into the Frontier Service with Bourland's Regiment. 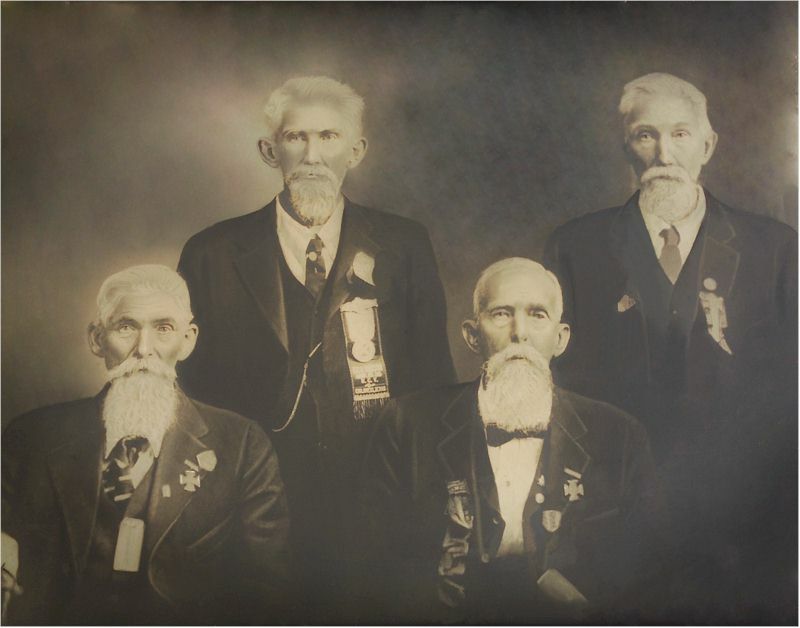 After the war he returned home and raised a family in Grayson County. James Coleman Witcher. He was the first of the boys to enlist. He joined the Honey Grove Texas Militia in 1861, they were mustered into Young's 11th Texas Cav. by the end of the year and left the area. They later joined the Army of Tennessee and James C. saw action in many battles, one of the most notable was Murfreesboro. After the war he married and lived in Grayson Co. He had a farm and was in the drug store business. He had five children and two wives, was a Mason, and died in 1926. He is buried in the West cemetery at Bells, along with both his wives.